Riga Business School Alumni form a powerful business network. There are more than 1000 RBS alumni to network with, engage in business or to exchange the experience. 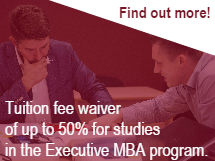 Support Riga Business School Alumni Association by becoming our partner. Become a partner with us in further enhancing the value of RBS Alumni Association through your valued sponsorship. We are proud of the events and opportunities your sponsorship provides to our association and in turn, the exposure we are able to offer your company.